Several cast members have previously indicated that Avengers 4 will be their last MCU outing, but now we can add Joe and Anthony Russo to that list. 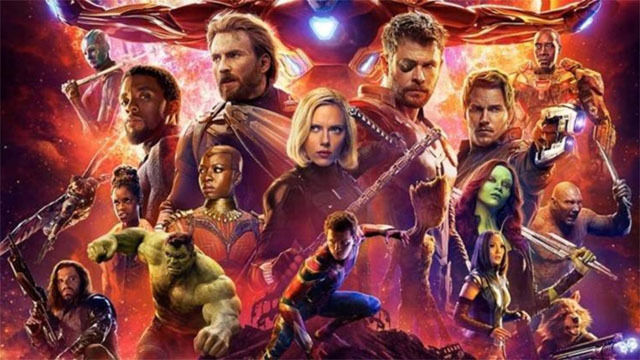 After a special screening of Avengers: Infinity War last night, the film’s directors announced that they plan on taking a break from superhero movies following the release of next year’s sequel. The Russos made their MCU debut with 2014’s Captain America: The Winter Soldier. Prior to this, they were primarily known for their television work, directing episodes of shows like Arrested Development and Community. Their sitcom roots made their partnership with Marvel an unconventional pairing. However, The Winter Soldier’s positive critical reception proved that the studio knew exactly what it was doing. The brothers went on to match that film’s success with 2016’s Captain America: Civil War and again with Infinity War earlier this year. Nevertheless, the filmmakers haven’t ruled out a possible return to the genre down the line. According to Joe Russo, they’d be willing to come back when Marvel is “ready to make Secret Wars.” Although this famous ‘80s storyline was conceptualized as a way to sell toys, it has gone down in history as one of the most beloved comic events of all time. The miniseries saw a number of Marvel heroes and villains transported to the planet Battleworld to fight at the behest of the cosmic entity known as the Beyonder. The event also introduced the world to Spider-Man’s black suit, later revealed to be an alien symbiote that eventually possessed Eddie Brock and became one-half of Venom. What are your thoughts on the Russo Brothers taking a break from Marvel movies after Avengers 4? Tell us what you think in the comment section below!